How to travel across the USA on a budget – plane, bus or train? The United States is a huge country – so how can you go from one place to the other on a low budget? It’s fair to say that, during my two-month Couchsurfing trip all across the USA, travelling from one city to the other was what I spent most money on. More often than not I was covering huge distances – from Washington to Tampa, from Tampa to New Orleans, from New Orleans to Nashville, from Nashville to Chicago etc. I eventually decided to go for the Greyhound bus when the travel time was less than 12 hours, otherwise I would book a plane ticket. The Greyhound Lines buses cover over 3,800 cities across America. Born in 1914, it was first a very popular for of transport, although now its reputation has declined. Being really cheap, the Greyhound has become a synonym for the means of transport used by the poor. I was told to always be very careful on my Greyhound trips but, although I even took a 10-hour night journey from Las Vegas to San Diego, I never had any problems. Of course it wasn’t the most comfortable of journeys, but my suggestion is: do take a Greyhound for a short trip, like New York to Washington. You can pay as little as $9 if you book early enough. However, do keep your wits about you, because strangers you might feel uncomfortable with will talk to you. So don’t freak out. They generally don’t mean any harm. Taking the train was always out of the question for me: journeys like the one from Washington to Tampa was over 22 hours long, nearly as much as a bus drive. What’s more, it was way more expensive. Eventually, I just resorted to flying. My pick among the many US company on offer was Southwest Airlines: it was the cheapest, offering a “Wanna Get Away” non-refundable fare that was the cheapest I found, also including a checked-in bag and two carry-on items. What’s more, the safety announcements on board were absolutely hilarious, a different take on the usual spiel. In short, travelling in the US is expensive, which is one more reason why if you visit the country, you should do so through Couchsurfing! Pictures by: Entrepreneur.com; Taringa.net; Wikipedia. Gli Stati Uniti sono immensi, quindi come si fa a visitarli e a viaggiare di città in città spendendo poco? Durante il mio viaggio in America gli spostamenti da una città all’altra sono stati la mia più grande spesa. Spesso dovevo coprire lunghe distanze: da Washington a Tampa, da Tampa a New Orleans, da New Orleans a Nashville, da Nashville a Chicago ecc. Per finire, ho deciso di prendere l’autobus Greyhound per viaggi non superiori alle 12 ore, altrimenti ho prenotato dei biglietti aerei. 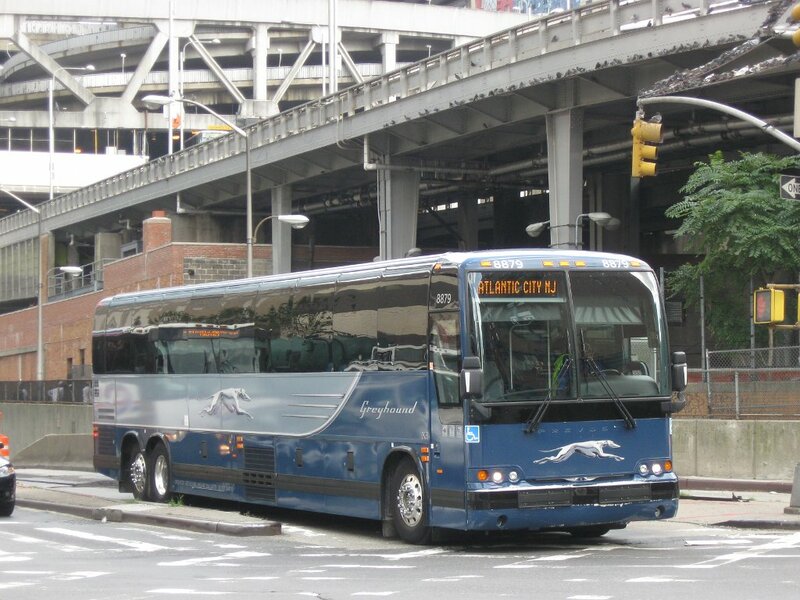 Gli autobus di Greyhound Lines coprono 3,800 città americane. Nati nel 1914, all’inizio erano il mezzo di trasporto più popolare, ma ora la loro reputazione è crollata. Essendo molto economici, i Greyhound sono diventati sinonimo di mezzo di trasporto per i poveri. Mi è sempre stato raccomandato di stare attentissima sugli autobus, ma nonostante abbia preso un Greyhound per un viaggio notturno di 10 ore da Las Vegas a San Diego, non ho mai avuto nessun problema – anche se ovviamente non è stato un viaggio molto confortevole. Il mio consiglio è: prendete un Greyhound per un viaggio breve, come quello da New York a Washington D.C. Se prenotate per tempo potete spendere anche meno di nove dollari. Ricordatevi però di guardarvi bene intorno e di stare attenti: persone con cui non vi sentirete proprio a vostro agio cercheranno di parlarvi. Non date di matto però: di solito non hanno cattive intenzioni. Prendere il treno è sempre stato fuori discussione per me: viaggi come quello da Washington a Tampa duravano oltre 22 ore, quasi quanto un viaggio in autobus, ed erano anche più cari. Per finire, ho scelto di volare. La mia preferita fra le compagnie americane è stata Southwest Airlines: era la più economica, con la sua offerta non rimborsabile “Wanna Get Away” che concedeva anche di mettere un bagaglio in stiva e di portare una borsa a mano e un trolley. In più, gli annunci di sicurezza sull’aereo erano molto più divertenti di quelli a cui sono abituata. Insomma, viaggiare in America costa caro: un motivo in più per scegliere Couchsurfing come sistemazione!